Giovanna is a London-based documentary photographer who completed her MA in Photojournalism and Documentary Photography at London College of Communication, University of the Arts in 2008. She’s worked for numerous publications as a freelance photographer including The Guardian, Huffington Post and National Geographic. 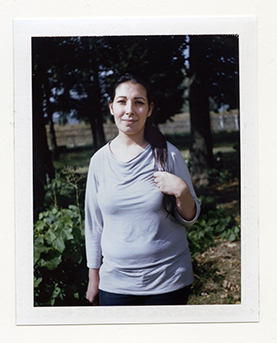 Her current project is called A Polaroid For A Refugee (ApfaR) where she gives instant film portraits to refugees documenting their points of transition. ApfaR has been exhibited in the UK, Berlin, France and Switzerland where she won the Lugano Photo Festival Women. Giovanna is on Instagram @apolaroidforarefugee and you can support her work by visiting The Photographer’s Gallery. Can you tell us about how you started APFAR? What was it about refugees that interested you? 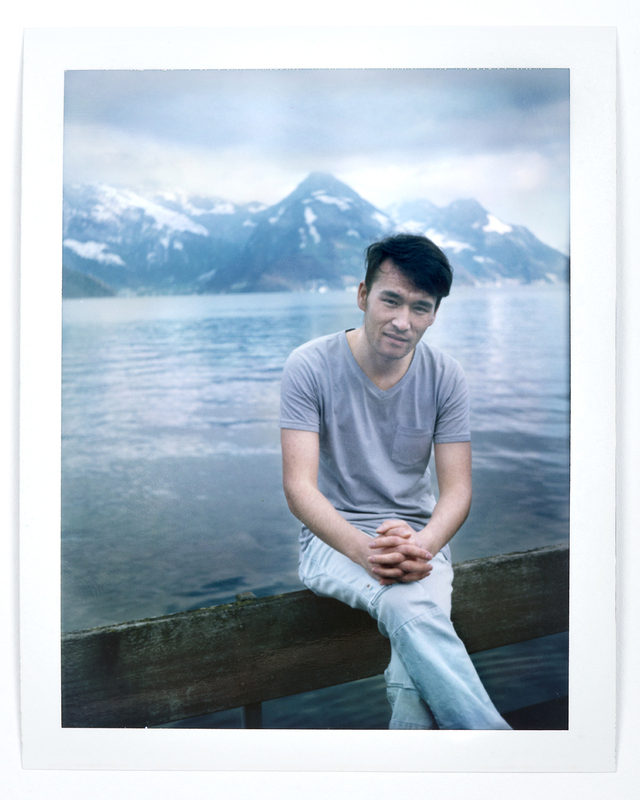 A Polaroid for a Refugee (APfaR) was born from my curiosity to understand. Nothing more and nothing less. The refugee crisis was a topic treated by all the media, with differing opinions. I still remember when the UK newspaper Daily Mail, in the summer of 2015, published an article with photos that portrayed families and individuals in public gardens and along the edges of the streets with their tents, on Kos Island, Greece. They were depicted eating, drinking or simply sleeping. They were doing everything we usually do. The only difference was that they did it on the streets and in public parks. The photos were accompanied by an article whose central news was about British tourists, who after having paid for their summer vacation were surrounded by people with, perhaps, bad intentions. The exodus from Syria, and consequently from other countries, caused instability in Europe. There have always been migratory flows, just think of Lampedusa. But for the first time, we were facing mass migratory flows. What could I do? I could have carried on documenting myself from home or I could have been an active part of clarifying what was really going on. The political and social situation had convinced me to go. What convinced me then to volunteer and use instant film? In the 1990s, the Balkan war was knocking on the doors of Italy. I was 20 years old and I was neither active politically nor socially. I lived that war as something that did not belong to me. I did nothing and I never forgot it. So, when this new crisis knocked on doors, I decided to participate. My aim was also to volunteer with small organizations, to be able to understand and be close to the people involved. 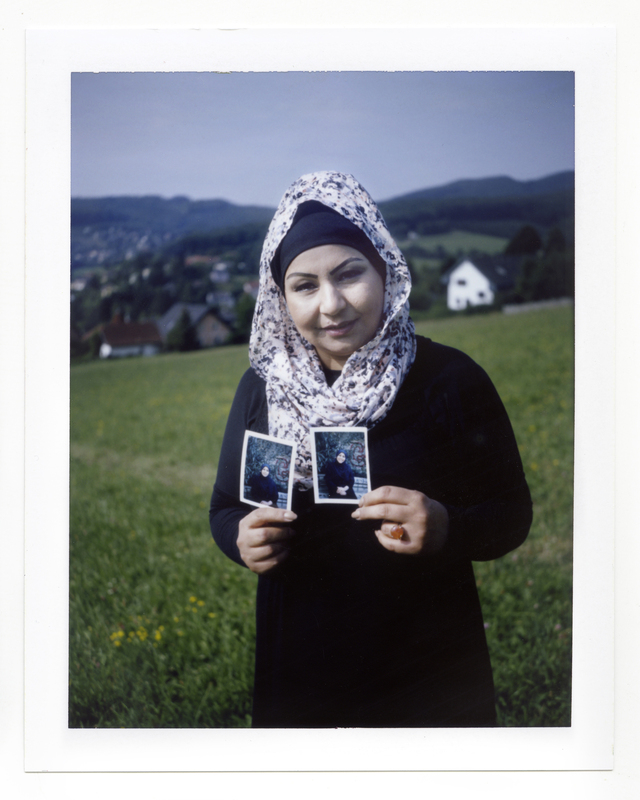 On all of these occasions, I had my Polaroid Land Camera with me – and it was during my first trip that the A Polaroid for a Refugee project was born. It is a project based on the concept of giving – giving something back to the refugees, a moment of their life and journey captured forever. In fact, everyone I photographed has a Polaroid picture now. Outskirts of Vienna, Austria, 2017 – Fahina left Afghanistan with her siblings when it became extremely dangerous for them to stay. Fahina’s family was a prominent Afghan family. Her father was a politician before the Taliban period. He always believed in a woman’s right to education, work and equality, beliefs which sadly cost him his life. He was murdered because he supported his daughters’ careers as well as their undercover activities to educate women in their rural, Taliban-ruled community. Do the people you give photos to already have family photos? What kind of possessions are they traveling with when they are forced to flee their homes? They might have photos on their phones. Possession-wise I noticed that some of the people had some bags with them or nothing at all. It all depends on how they managed to travel. For example, people who I witnessed coming on a dingy from Turkey had a small plastic bag with their main possessions; others who managed to legally pass through the Hungarian border had all their possessions with them but very often they would have all their belongings confiscated by the Hungarian authorities before entering the country. 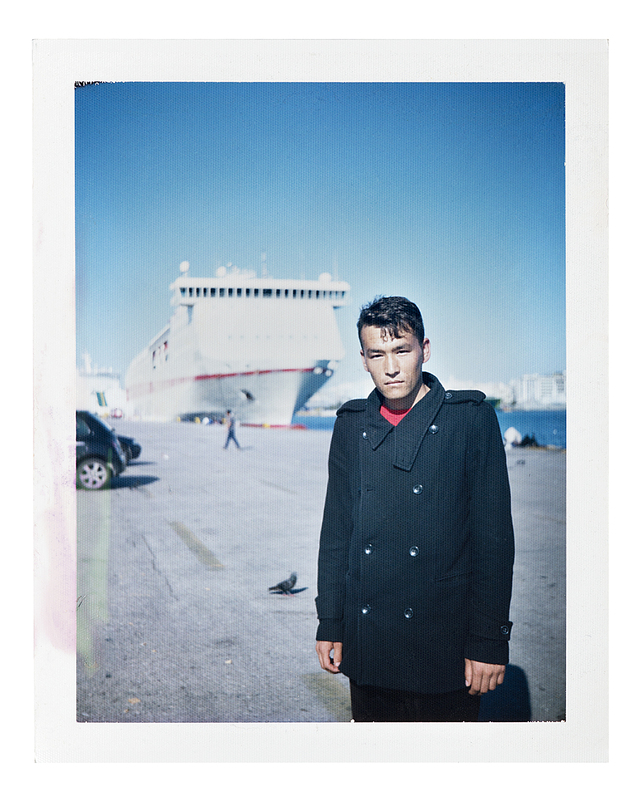 Piraeus Port, Greece, 2016 – I met Mahbub (age 24), from Afghanistan, by the Piraeus Port in Greece in April 2016. I took his image and we exchanged FB accounts. After a few months, Mahbub wrote that he and his brother Mortaza reached Switzerland. After our encounter in Greece, Mahbub and his brother boarded a flight to Vienna with Malaysian passports. Once in Austria they took a train to Switzerland where they destroyed the passports. Are there language barriers when you’re meeting people who are refugees? Yes, of course. During my trips, I managed to develop different ways to communicate. Being Italian, gesticulating is my second nature and it helps a lot. Once on Lesbos Island an Afghan grandma and I, despite not sharing a language, managed to have a full conversation about her daughter being in the local hospital after delivering a baby by cesarean to her disappointment. Other times, I ask some refugee people who can speak English to be my assistant for a day. That is really nice because you share part of your work with someone who is usually the subject of it. 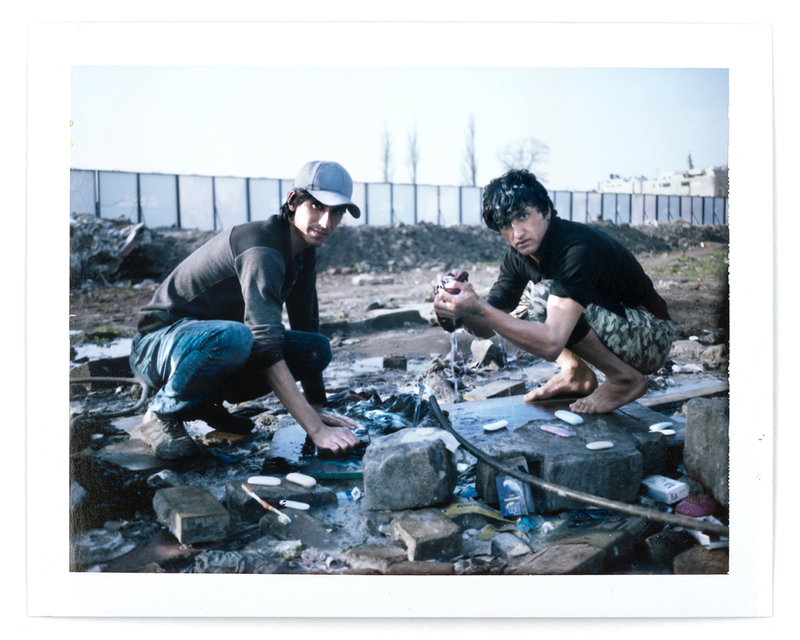 Belgrade, Serbia, 2017 – Two young men washing their belongings behind the Belgrade Central station. Which countries have you traveled to giving away photos and have you found any commonalities between refugees from different countries? So far, I concentrated on the Balkan route countries: Serbia (Belgrade and Presevo); Greece (Athens, Idomeni, Chios and Lesvos Islands) and Northern Europe: Germany, Switzerland, Austria and France. Refugees from different countries have the same goal: finding a place to start a new life. Too often, we forget about their real motivation in coming to Europe. We only see individuals who are settling down and we do not even bother to get to know their stories. 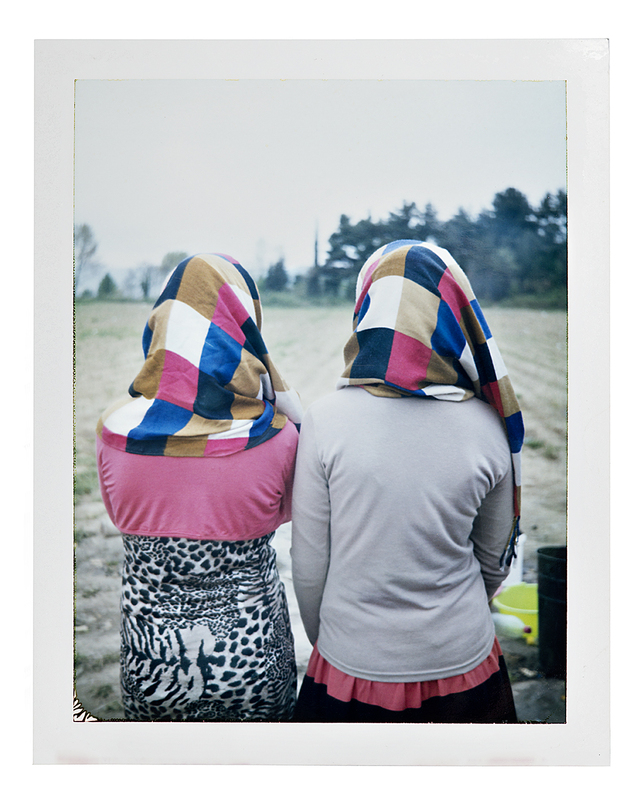 Idomeni Camp, Idomeni, Greece, 2016 – Two refugee girls turning their backs to the camera so they cannot be identified. I noticed these two girls coming out from a tent early morning. After a lot of gestures and mimes, I managed to take their photo. Idomeni Camp is a vast green field full of tents comparable to a music gathering. The major difference was the people who were there: they were not music fans but people who were waiting for their chance to move on, to reach their families who might be already in Germany or in some other European countries. What has been some of your most memorable experiences sharing your photographs? To be thanked by the people I portrayed and to be friends with the ones I went back to see in Europe. I love the fact that their lives are entwining with mine and viceversa. 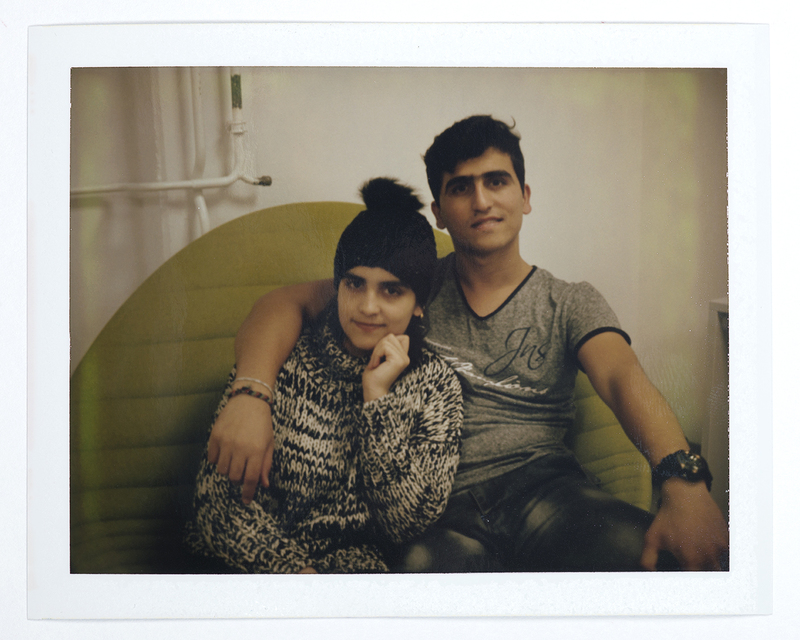 Germany, 2017 – Dunija and her brother Faisel. Dunija and her family left Afghanistan when her father was caught in the crosshairs of the Taliban. He had been asked three times to appear for a meeting at a location well known as a ‘place of no return’. When the situation became too unbearable, Dunija’s family and relatives (18 people including her oldest sister Aria, who had been obliged to marry a Taliban member and consequently had to leave her daughter behind) took a plane to Turkey. I first met Dunija and her family in 2017 in Preševo Camp, where I was invited to break the fast with them during Ramadan. After many months stuck in the camp, they decided to be smuggled out of the country. They were strategically split up to increase their chances of reaching a European country. After a few months of traveling, including traumatic journeys in packed vans, Dunija and her brother, Faisal, reached Frankfurt, Germany, where one of their uncles lived. The rest of their family (parents and younger siblings) is still in Belgrade. The second time we met was in Frankfurt in December 2017. It was the same day that Dunija and Faisal were accepted at the Caritas Centre for unaccompanied children. Dunija is the only girl in the hostel. Faisal and Dunija’s journey was a learning curve that forced them to grow up faster. How has this project impacted your own life? It is a project that gently gets under your skin. It provokes a lot self-assessment. I constantly question myself on the validity of photography as a political, social tool and the thin line between exploitation and the aiding of the subject. I do not think it is an easy topic to deal with if you get emotionally attached to people and situations. Buochs, Switzerland, 2017 – Mahbub, age 25, poses in the foreground of Lake Lucerne with the Alps in the background. A few weeks after I met Mahbub (from Ghazni Province in Afghanistan) in Greece, he and his brother Morteza boarded a flight to Vienna using Malaysian passports. Once they reached Switzerland they destroyed the passports. At first, they lived in Zurich but in September 2016 they were relocated to Buochs, a small citadel about an hour from Lucerne. According to Mahbub, there are about 100 refugees who have been relocated to Buochs. Locals are not accustomed to refugees yet. In fact, the presence of refugees is relatively a new reality here. This would explain why the two brothers are finding it very difficult to integrate into their new community. According to Blick News Politik, the Swiss Federation, a non-EU country but a member of Schengen, is welcoming its fair share of refugees. Almost 40,000 asylum seekers applied for refugee status in 2015 alone. Did you have any preconceived notions about refugees that may have changed in the course of doing this project? Of course, I had and I am sure I still have. That’s the beauty of being a social photographer: being prepared to dismantle your beliefs and embrace new ones. Since I started the second part of the project, visiting the people in their new adoptive country, I had to reset my belief that once they arrived at their destination everything would slow down and a new life would begin. There is sometimes a misconception that, once people reach their ‘destination’, everything will be magically healed. I met people along the way who didn’t have any money, food or means to carry on their journeys, yet somehow they managed to ‘make it’. At what cost, though? Some of the people I have revisited are struggling to come to terms with the memories and legacy of their journeys, and their new lives and circumstances. Witnessing both situations has led me to realize how far away I am from truly understanding the experiences that these people have gone through. Presevo Camp, Presevo, Serbia, 2017 – A young girl getting bored while waiting for her mum and sister to finish at the makeshift beauty salon inside Presevo Camp. If people wanted to donate to APFAR how can they do so? There are different ways to support the project and its charitable aspect. As part of APfaR, I create limited edition hand embroidered postcards whose profits go to a charity I volunteered with. You can buy them from The Photographer’s Gallery bookstore or directly from me. You can support the self-publication of my APfaR book. It will be a unique piece which, hopefully, will reflect the family album feeling that this beautiful project has and my wish to create an intimate and approachable document which would go beyond any stereotypes related to any refugee crisis. Serbia, 2017 – Amir discovered feminism while traveling to Europe. She wants to give a message to all the women: ‘Freedom belongs to a free mind’. Since this picture, Amir and her family reached Germany. What motivated you to do the GivePhotos project? I read about GivePhotos and found the initiative unique. I wanted to be part of it because GivePhotos seemed to strike that perfect balance between photography and humanity, between the photographer and the photographed. I felt the initiative appreciated and acknowledged that giving away a photo wasn’t like building a hospital or a school but it was still significant. People living in poverty lack the privilege of photography that we take for granted. When some lives get documented very well, and others remain undocumented, we can raise important questions of who can create and own memories. Do the poor have the right to their memories through photographs of an important day? Do they have the right to leave behind their stories, their legacy, however briefly? I think they do, and the GivePhotos initiative recognizes these rights and tries to fulfill them in its own way. By combining bygone technology with the warmth of human connection, the project revives the practice of listening and sharing stories that would otherwise go unheard. I wanted to be part of this amazing initiative. Can you share some memorable stories with us of your experience giving photos? Each time I photographed someone, I listened to their story and I learned something new about life. The first person I interacted with for GivePhotos was Phoolwati from Rajasthan who comes to Delhi occasionally. This was her fifth or sixth visit to the city. She belongs to the Bauria community which is a nomadic community ranked low in the South Asian social-stratification system called caste. She had two sons, daughter-in-laws and grandchildren back home. She did not have a phone. Phoolwati had come to Delhi to earn some money because there was not enough rainfall in her village. In an agrarian country, such as India, seasonal migration in search of a livelihood and income is rather common. Millions of women like Phoolwati fight everyday, against all odds, overcoming the challenges of patriarchy, community and poverty, and make it to another day. They are the true face of courage. Another memory that will stand out is the hot summer afternoon in Sundar Nursery complex in Nizamuddin. The complex had many workers and many of them were women. They toiled away under the hot May sun as their children roamed about. I clicked some of the children and gave them their photographs and one of them was showing it off to his mother. The mother loved the photograph and decided to take a break from her hectic schedule to get herself photographed with her children; several mothers followed suit, and I must have clicked and given away some 10 or 15 photographs that day. The next day was Mother’s Day and the whole interaction stood out because even though these working mothers don’t earn enough to live in comfort or send their children to school, their love and pride for their children was no less valuable. They will not be featured in any Mother’s Day ads but I will always remember their joy when they saw the photographs. How did people react? Did the experience change your outlook on people in any way? People were very accommodating, interested and enthusiastic. Once I explained to them why I was taking the pictures and that I would give them a copy, they usually agreed. There was a real visible difference in them when I gave them the photo —– they lit up with happiness and willingly opened up with their stories. They talked to me quite frankly and I too tried to be as sensitive as possible. I asked them if they had any other immediate needs and tried to break the ice by helping. One time I bought some corn for a lady, another time I bought rice. However, in the last outing for Give Photos where I mostly photographed laborer mothers and their children, nobody asked for anything and they were truly happy to be photographed. That was really one of the nicest experiences I had. Another interesting experience was that because India is a very conservative society, I mostly focused on women and children, but in my last outing, many men and boys, mostly guards and laborers came to me requesting photographs. What photography equipment do you usually use? I have use mixed methods and sometimes taken the photographs myself and at other times requested my husband, Austin to take the photos. We used a DSLR – NIKON D3200 with a NIKOR 16-85mm lens. Do you have any suggestions for people who would like to give photos? The GivePhotos initiative is a great way to break the ice with people who you would otherwise not interact with, to listen and share stories and document what goes unseen and unheard. I would suggest everyone who wants to be part of this initiative be mindful of the power dynamics and hierarchies that exist between the photographer and the photographed and approach it with utmost sensitivity. One must be honest with the person they want to photograph and explain to them how the photographs will be used. Be prepared to go beyond photographing people and connect and help them in whatever small ways possible. Cherish the experience and be happy because you are spreading some joy and even if it seems small, it is significant! I think once you become a part of the GivePhotos project you can never stop being a part of it. It is a deeply enriching experience to give away instant photos and see the joy on people’s faces when they see themselves in those photos and listen to their stories. I will definitely do it again and continue to do it as long as possible! I qualified for a company paid sabbatical to travel anywhere in the world for a few weeks. The only requirement was that I had to do something for myself and others. I chose GivePhotos because it was a great way to combine my love of street photography with giving back to those who lack photographic memories of their loved ones. I wanted to interact with real people, from all walks of life, and GivePhotos was the perfect way to share something of value with others. It gave me the chance to get know over 50 families in India across 7 cities on a personal level. New Mom – I gave photos to a woman who gave birth in a tent village the day prior, on a sand floor, no doctor, no drugs, no midwife. I found her the next morning, dressed in a beautiful purple dress and just having completed nursing her one day old baby boy. She was so happy I could document the birth. Crumbling Walls – I met an elderly couple who lived in what looked like a bombed out, single room home, but really was just crumbling bricks and a partial wall. They had a single cot as their only material possession, which doubled as a bed and place to sit. Despite their lack of comforts, they seemed happy to have each other and their local community which brought a richness to life that seems lacking in the US. Anniversary Couple – I also met a couple who asked me to document their 30th wedding anniversary. They asked me to photograph them in front of a Hindu “temple” which was really a makeshift shrine where they worshipped with their neighbors. Family of Five – I met a family of five that lived in a cement 9’x6′ room, no windows, no electricity, no running water, no furniture, no bed, no toilet, no place to cook. They had the clothes on their back. Had you not seen them in their home, you would have never believed they were so poor. They invited me in to take a photo in their home with their three young children. I learned that if all you have are clothes, you take care of them and use your dress as a way to convey pride, self respect and follow traditions. When you give the gift of an instant photo, it creates a human bond between you and those you meet that is instantly warm and friendly. The resulting pictures are priceless and often candid. In India I learned a common refrain, “Guests are like a god,” and so they treat strangers with the same kindness they would extend to a friend or family member. I was often invited to have tea and partake in the little food they had, which was remarkable. I learned that those with less (food, material possession, money etc.) often are the ones willing to help others and share what little they have. It was powerful to experience this first hand. While I did the GivePhotos project mostly among the poor, I did also give photos to a few others I met along the way and the connection I had with them as a result was special. India is rapidly industrializing so now is a great time to go as you can see see how agrarian and poor people lived 300+ years ago right next to a modern, educated, mobile phone carrying business person. Cows, goats, camels alongside motorcycles, tuk-tuk taxis and trucks co-mingling in the streets of India was not uncommon at all. India is a colorful melting pot of people, colors and regional and ancient cultures. I used an Olympus OM-D EM10 Mark II mirrorless digital camera with 2 kit lenses, 14-42 mm and 40-150 mm for zoom. I found I used the regular 14-42 mm lens the most as I was usually in close contact doing street photography. I travelled alone, and simply kept my spare batteries (on most days I used 3-4), lenses, snacks, facial towel, chargers for phone & camera etc. in a light photography backpack as I walked the streets about 8-10 hours a day and rarely returned to my hotel during the day. 1) Just do it. It is the most unique & incredible experience. I prioritized my day based on where locals would congregate. Don’t under-estimate tourist locations as locals are often there as tourists themselves or selling their wares. I found the #1 most common tourists in India were other Indians, so I had plenty of people-photography opportunities in open markets, parks, monuments, forts as well as in slums areas. 2) Do not worry about approaching people. A warm smile is all that is needed to be disarming. A sample instant photo can convey your intent. In the slums and villages in India that were self-contained or a short 10 minute walk from the outskirts of town, I hired a local tour guide interested in adventure (the cost was $15-$25 for half a day). This allowed me to be even more accepted into the community. The local guide’s approval of me added a comfort level which allowed me to take photographs inside people’s homes. 3) Expect to have overwhelming demand once word gets out you are giving away photos. I found myself often attracting 5-10 kids, teenagers and adults flanking me wherever I walked, wanting me to make a family portrait for them. I never felt unsafe, just very popular! I typically gave away 30 photos in each village I visited over several hours. Bring more film and spare batteries just in case. 4) Take a photo with the Fujifilm Instax camera. Then while it is developing, take your digital photos. Get candids of the people watching the photo appear before their eyes, laughing and showing it to others. Finally, get a digital photo of you and your family holding their instant photo (guide/translator can take the digital photo). For photos and people I thought were particularly special, I would take a digital close up photo of the instant photo which helped capture the memory I gave to them so we could both enjoy it for years to come! Yes! Enthusiastically. I hope to make GivePhotos and street photography vacations a bi-annual experience. It brings me closer to local culture and people. It’s among the most rewarding and memorable ways to do foreign travel. Award-winning photographer Gilles Nicolet has been working almost exclusively in Africa for the past 35 years, spending a great deal of time in Somalia, Tanzania and West Africa. Completely self-taught, his work has graced the pages of major magazines around the world, including Smithsonian, National Geographic, GEO and Paris-Match. GivePhotos, with the help of Fujifilm provided him with an Instax wide camera and film to share his photography. Gilles chose to travel to the Neema Crafts Centre in Iringa, Tanzania which was founded in 2003 by the Diocese of Ruaha to provide training and job opportunities for people with disabilities. Disabled people are often stigmatized and overlooked in Tanzanian society, and Gilles felt it important to give back to this community. You can learn more about Neema Crafts by visiting their website. You can follow Gilles on Instagram @gillesnicolet or learn more about his incredible photography here. You are a professional photographer, was your experience of giving photos different from your experience as a professional photographer? What motivated you to do it? As a professional photojournalist, I was always running from moment to moment, so that the perfect combination of light, event and essence wouldn’t escape me. To use an Instant Camera is a different photographic experience. I was not taking pictures of events, rather of people. It allowed me to talk to the subjects, ask them where they wanted to be photographed, why and gave me a little insight into who they were. My motivation was the slower pace of the GivePhotos project, having the chance to chat with my subjects and reflect on choices – place, subject, person. A group of school girls were walking by when I was photographing someone in Southern Tanzania. They were amazed at how “instantly”these pictures were produced. It gave rise to giggles and whispers. I approached them and asked if they would like a group photo —- an opportunity they quickly embraced. I’m not sure who will keep the picture but they now have a memory to cherish from the day when they saw this weird machine produce instant photos! In the days of film, I used a Nikon F5 with a combination of lenses. It was easily one of the best cameras ever made. Today, my photography is less cumbersome and I use a Sony A7Rii with a 35mm and a 85mm. It has an amazing captor, making a world of a difference in the digital renditions. I shoot only black and white now and the Sony allows me to get pretty close to film. Know the stories, talk to your subject, let them tell you where they want to be photographed. If the moment touches them, not only will they keep the picture; they will have a memory, a story to behold for along time. When did you start giving photos? We started giving photos on our trip to Sri Lanka on August 2016. What motivated you to do it? We have been photographing people on all our trips. Unfortunately, we have left many places with the bad feeling of not having access to a printer to make a copy of the files that were kept in our cameras and share those pictures with the people we met. We tried to send the pictures once we were back in Spain but sometimes the addresses we had were difficult to recognize for the postal service and sometimes people did not have a proper address. We have been uploading most of the photos on our blog and we try to share it with the people we meet, but some people do not have access to an internet connection. 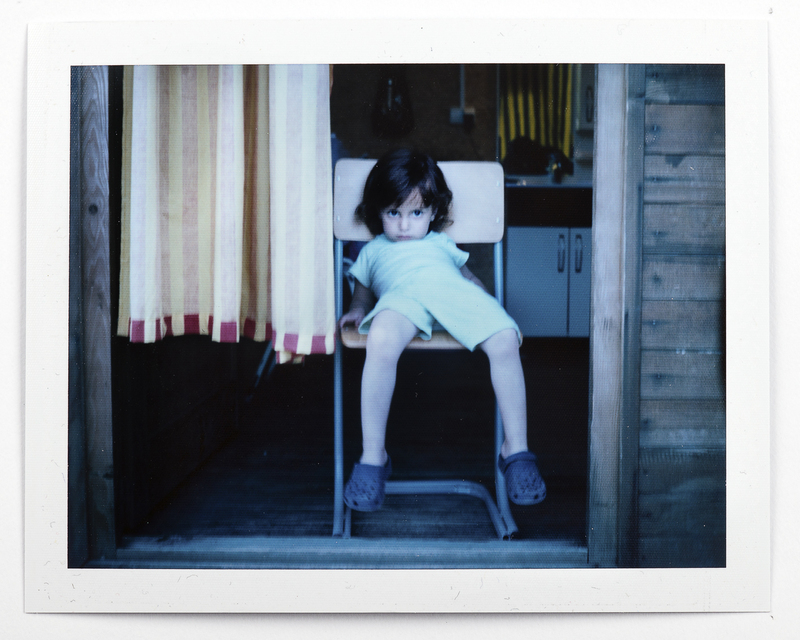 That is why we started to share the pictures taken with the Fujifilm Instax. We use the Fujifilm Instax 90 for giving the photos and a Fuji XPro1 for the rest. We chose the XPro1 because it’s kind of a perfect camera for travelling. It’s small, light, it has a nice collection of prime lenses and it goes pretty unnoticed compared with other bigger systems. Can you share one memorable story with us about your experience sharing photos? It is not easy to choose only one, but I think the moments with kids are the funniest. Last summer we have been in Sri Lanka where we had a beautiful experience with some kids and their mothers. We arrived to a church on a Sunday at the end of the sermon. All the community was there. We took out our Fujifilm Instax camera and started taking pictures for the kids. They were crazy about it. They kept coming and coming several times to ask for a new picture for his brother, sister, friend… They were really excited. It was a very rewarding moment. And then, all their mothers got closer to us and asked if we could took a photo with their babies next to the church or the virgin. Finally they invited us to have lunch with them. Do not leave your Instax camera or printer in your room just because you think you’re not going to meet anyone to give a photo to that day. As it happens with photography, you simply cannot foresee when you’ll get a good chance to take a great picture. Opportunities are all out there! On our last trip to Mexico we met in Mérida two old men that were working on a sewing workshop. They were around 80-90 years old and had a lot of clothes to repair and sew. Marcial asked if we could take a photo of them and then we started to talk for like an hour or so. That day I left the Instax camera in the room because I thought we’re not going to meet anyone in Merida’s city center to give away photos. I regretted. It would have been an excellent moment to give the photo to these men and I could not do it. So, do not plan much. Take your camera always with you. It can happen any time! All photos by Gabriela Huarie and Marcial Rodriguez. Traveling to Tanzania to Give Photos! Yuliya is a Belarusian amateur photographer currently living and studying Multimedia in Prague, Czech Republic. She has been traveling and taking photographs since she was just 14 years old. She recently traveled her 36th country: Tanzania! She loved it so much she’s now made traveling to Africa her number one priority. GivePhotos sent her Instax film for her trip and she wrote, “Thank you for such a great opportunity, I’ve never been so close to local people during my trips and it was amazing to see a country from a different perspective. One of the best experiences in my life… I feel very inspired.” You can see more of her inspiring images on her Facebook page, TWINE photography. I love taking photos of people and usually ask for e-mail addresses in order to send the photographs. I think the first time I did this was around 7-8 years ago. But these photos have been always digital. I believe digital images don’t evoke the emotions I saw when I was giving instant photos right after taking them. Many people from developing countries have no idea what instant photography is, and the process of «transfering» their image to a white film seems truly magical! Moreover, not everyone has Internet access, so giving digital photos becomes almost impossible. I’m glad that the GivePhotos project exists and makes these people’s days brighter! Emotions of these people who got their photos…. This is what motivated me the most. I knew I would feel happy to give the photos away but didn’t expect that my own emotions would be so strong as well! Sometimes I couldn’t hold my tears of happiness when a person was smiling and crying at the same time. This feeling is really hard to describe! I was also motivated to learn more about the culture of these people and the way they live. I’ve never been so close to locals during my trips to developing countries. I had dozens of conversations with them and we shared a lot of great moments together. The GivePhotos project provided me with Fujifilm Instax Wide 300 camera + I used my Canon 60D together with Canon 20 mm f/2.8 lens. I like fixed lenses the most because they are really perfect for making portraits. I also think that a lens with short focal length is great if you ask permission to make a photo; there is no need to «hide» from a person you photograph and he/she doesn’t feel bad about being photographed. It’s not easy to choose just one story, but in Stonetown (Zanzibar Island) there was one man who told me ‘I don’t want to be in a photo alone. Please sit down with me’. So I did. He is the only person who had his instant photo with me, a stranger, on it! He was smiling so much when our image finally appeared and showed the film to all his friends on the street. If you like this idea, just do it! Smile more and learn some phrases in the local language, it helps a lot to make people trust a stranger. Sometimes I heard «no» just because people thought that I would photograph them and disappear. So I believe what made them give me one more chance was that I was doing my best in showing them that I was interested in their personalities and stories much more than in making a photo itself. Spend more time with people, be a good listener! And believe me, it will be one of the most unforgettable experiences of your life. All photos by Yuliya Boda. Kadiatu Sesay, age 61, had the most beautiful designs in her shop, and wanted to sell me half of them! After negotiating for souvenirs, I asked her for a portrait and she happily obliged. She became transfixed as she watched the print develop in her hands. I first started giving photos during my wedding in 2016, when a friend lent me his Fuji Instax camera so that we would have some nice impromptu photos with the guests. When I saw how much they enjoyed it, I started thinking about doing it for other occasions as well. Then I read the BBC article on the Give Photos project, and I thought their idea of sharing photos with people was a brilliant way to connect with them. There are two reasons. First of all, I am a political scientist and do research on how certain conditions can create grievances in people that may lead them to perpetrate group violence. In my experience, one of the prevalent drivers of conflict is a fear of strangers, particularly when it refers to people of another identity. The more that people engage with each other, the more they are exposed to other ideas and cultures, and the less likely they are to develop this fear. I don’t proclaim it will resolve any conflicts, but engaging in meaningful conversations with strangers can potentially counterbalance this development. Sharing photos allows you to strike up a conversation and enter in dialogue where you otherwise might not have, and the bonding moment is permanently encapsulated in the photograph. Abu Bakar Ivitson, age 57, is a builder who carries heavy raw materials such as wood and metals in and out of the market each day. He earns about $5-$6 a day, although earnings depend entirely on sales, so there are days when he does not receive any income. Second of all, as engaging as it is to take photos of people, the experience is not the same for the other person involved. Often they catch but a fleeting glimpse of themselves on the back of the screen and their experience ends there, whereas we get to look at it back home and share it with others. The experience changes entirely when you offer them their photo. They get to keep a memory of themselves and the moment you shared together. By giving back, the exchange becomes more balanced, and it makes photography that much more fulfilling. Life is not easy here in Sierra Leone, especially when living with disabilities. But some people are full of life and happiness, and this kid was one of them. As I was taking photos in the village of Fadugu, this boy came up to me and held my hand whilst we walked along the street. It was the most heartwarming experience of my trip there. I gave him the last polaroid in the camera, which he and the other kids really seemed to enjoy! The Give Photos project was generous enough to sponsor a Fujifilm Instax Mini 90 camera for my visit to Sierra Leone, along with 100+ prints. I would carry this together with a Canon 100D and several lenses (18-35mm f1.8, 50mm f1.8) to take people’s portraits. After some time experimenting with workflows, I developed a system that worked best for me. I would strike up a conversation with a person, asking to take their photo. First I would use the Canon to take an initial portrait, then take a snap with the Fuji camera. We would chat further whilst the print developed, and I would use the Canon again to take any reaction photos. These girls were living just outside the former presidential palace in Freetown (Kabasa Lodge), where three coups had been staged in the 1990s in order to overturn the regimes at the time. Realizing the location was not the most secure, they had moved the palace elsewhere, and the building that remained is now a squatter’s paradise. Their father was slightly hesitant about a photo but the girls really wanted one, and they were fascinated with their image as it appeared in front of their eyes. Often when I would take portraits of children, they would run over to their friends and family to show them the print. Five minutes later they would return with a crowd of people, all hoping to get a photo of themselves as well. I often had to organize villagers into queues and recruit colleagues to take down names and stories in order to document it all properly. After a few days, I was known in the town as ‘the Snapman’. It was often absolute chaos, but a lot of fun! Fatoumata Elizabeth Kabia, age 16, worked as a textile carrier. She was very shy at first but when seeing the photos of the other ladies, warmed up to the idea of a portrait as well. She then darted off, but not before I captured this last photo. Asking people if they would like ‘a snap’ is a good icebreaker for a conversation. By sharing photos, photographers who might be initially shy or introverted learn to take the initiative and engage with people. I have never done it as much as when I shared photos in Sierra Leone, and it felt incredibly liberating. My one suggestion would be to find a balance between sharing photos and talking to people, since it is difficult to combine them properly. This village was well represented by women. When we asked why this was, it turned out to be a Muslim village — every man has around four wives, so by default the ratio would lean towards women. This is a conservative society where the gender gap is still quite significant. However, the women had strength in numbers, and would often support each other’s views in order to get things done. Whenever a point was made about men needing to live up to their family’s expectations, the women would clap and holler together. It made for a lively family talk! All photos and captions by Ludovico Alcorta.